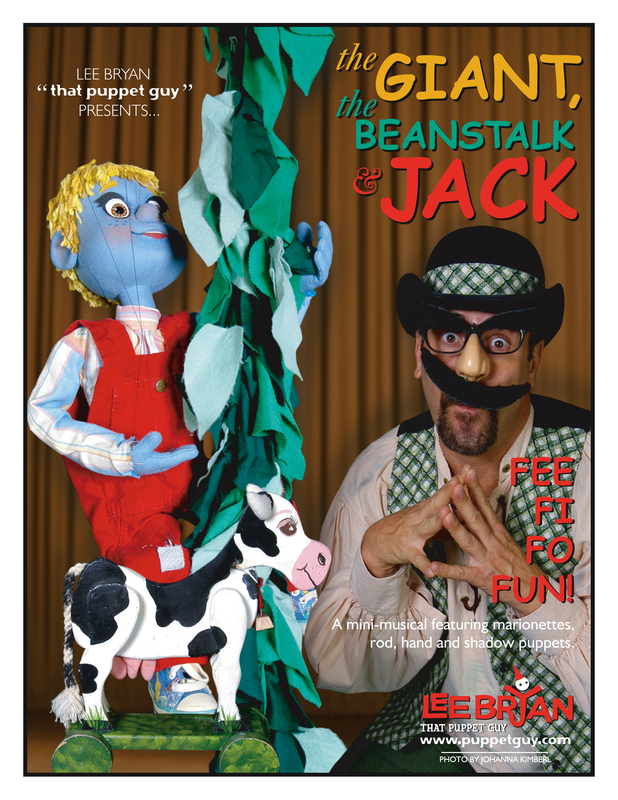 Based on the timeless tale of a lazy boy named Jack who outwits the Giant, gets the gold and saves the farm…this innovative one-man, mini-musical combines original songs with rod puppets, hand puppets, and shadow puppets all in one show! It also includes a post-show demonstration of puppetry styles used in the performance. 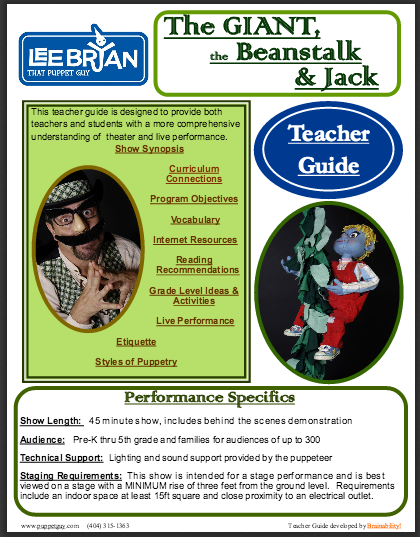 This show is recommended for up to a 300-member audience of children ages pre-K to 5 years old and their families. Lighting and sound support provided by the puppeteer. Requires indoor space at least 15ft square and close to electrical outlet. 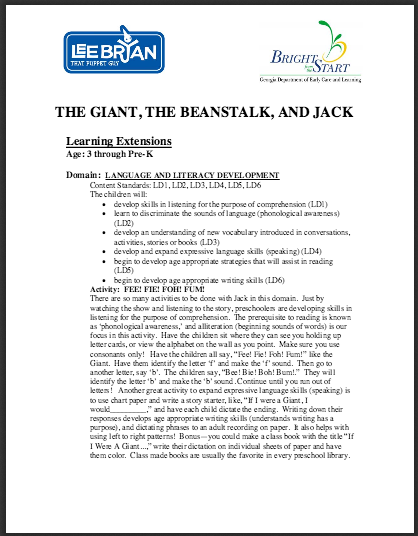 For educational information, download the Bright from the Start Learning Extension or the Elementary School Teacher Guide! 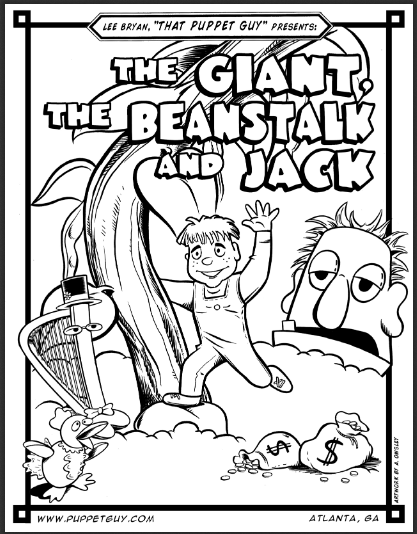 Download all The Giant, The Beanstalk & Jack assets, including hi-res photos.